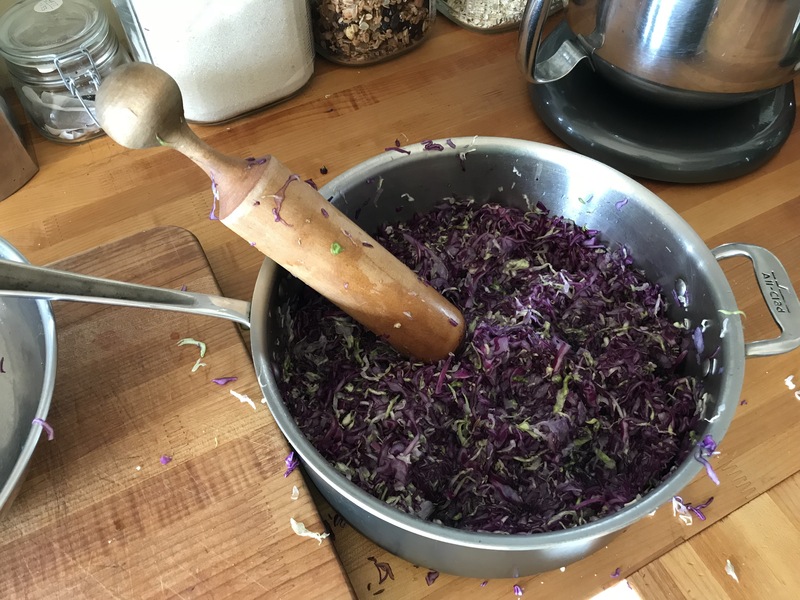 Grated on Babcii’s cabbage slicer! Added caraway seeds measured by Max at 3 years old, so about 1 Tblspoon +/- 1 tsp. 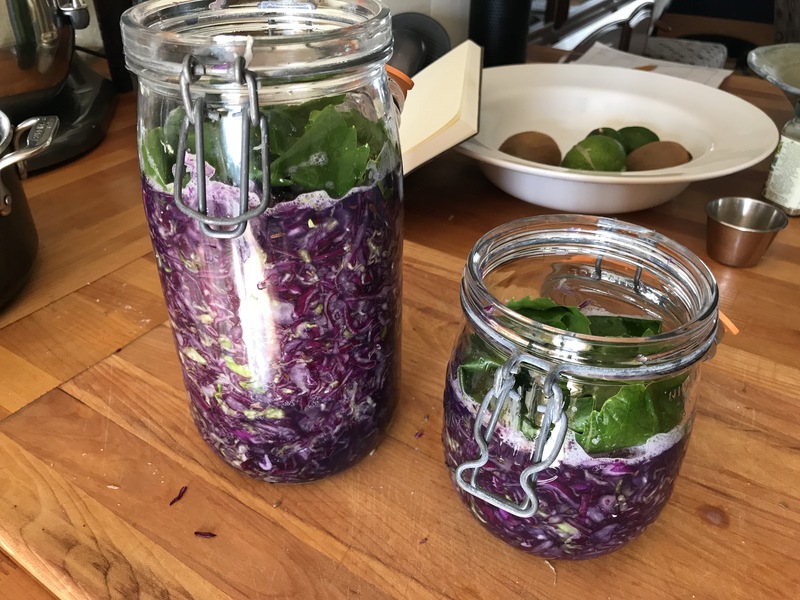 Pounded and stuffed into jars, and added a grape leaf to cover and press down the kraut.